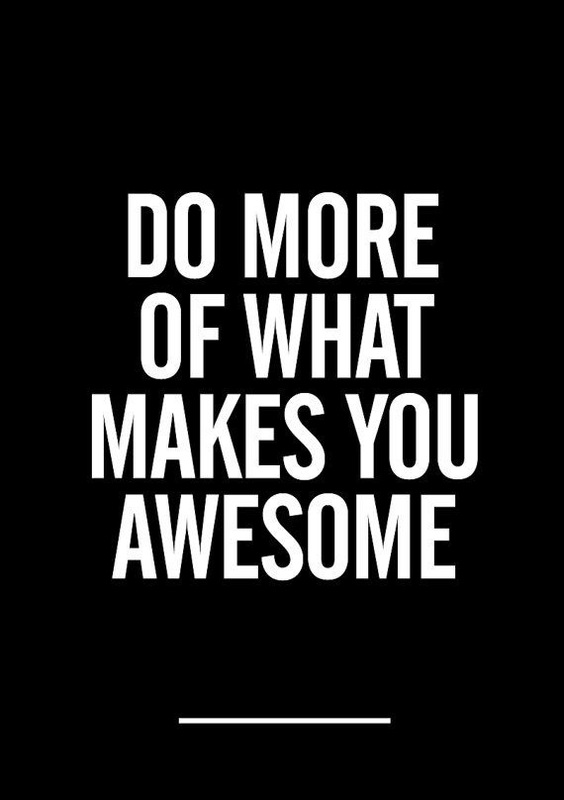 ← Put your trainers on and go! I’ve come to realise that, for me, breakfast is he most important meal of the day. Get it right and you’ll be full until around 1pm and the (approx 500 calorie) berry based breakfast I usually have, does just that. 1. 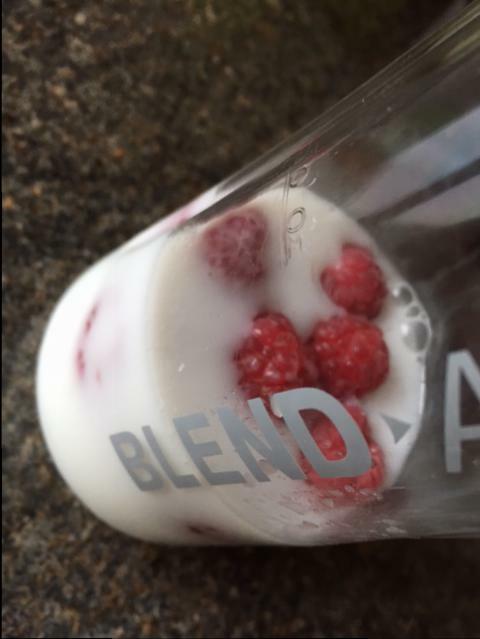 Put around 50mls of coconut milk and 5-10 frozen raspberries in the mixer bottle. 2. 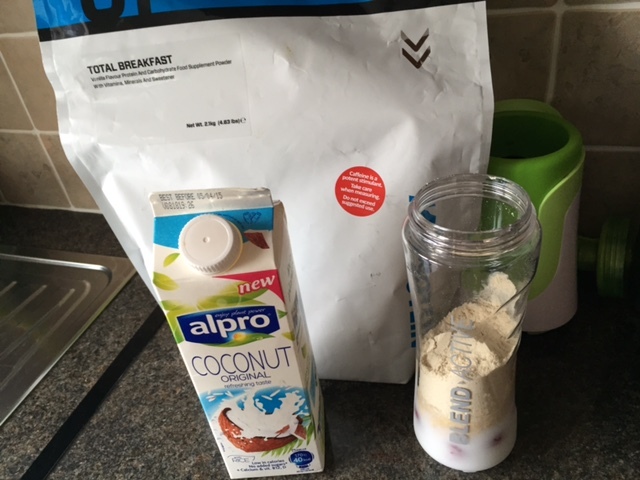 Add 2 scoops of my Protein Total breakfast, a sweet tasting carb, protein and caffeine packed mix. 3. 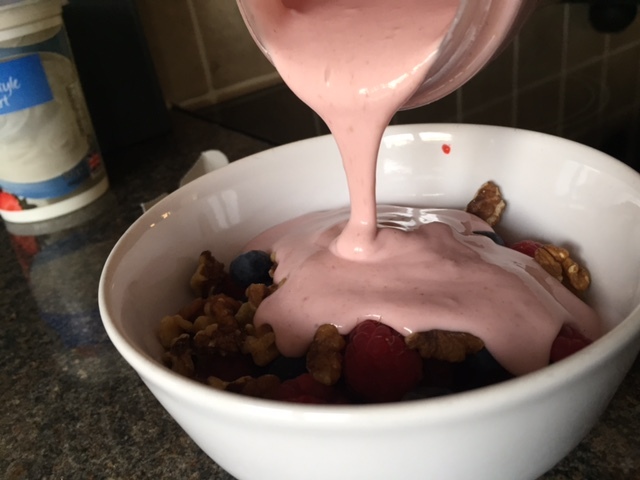 Add 3 tablespoons of low fat greek yoghurt, put the lid on and whizz it all up until smooth (and pink). 4. 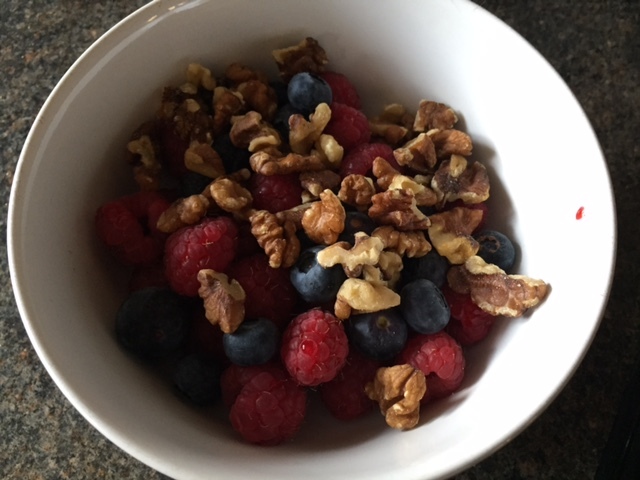 In a bowl, add around 80g fresh raspberries, 60g fresh blueberries and 2 tablespoons of chopped walnuts (or some pine nuts). 5. 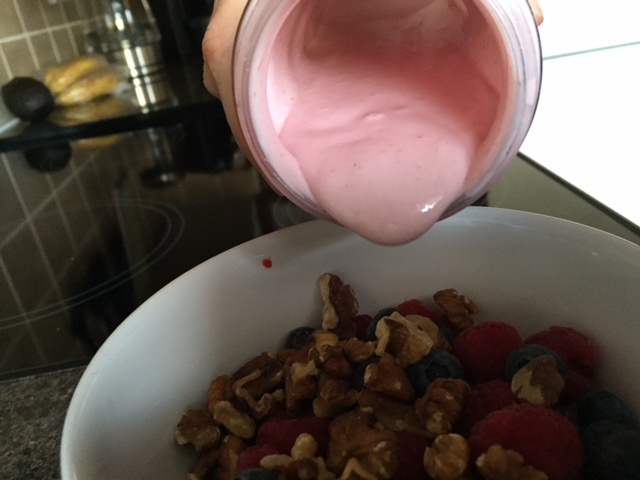 Pour the pink yoghurt mix over the berries and nuts. 6. 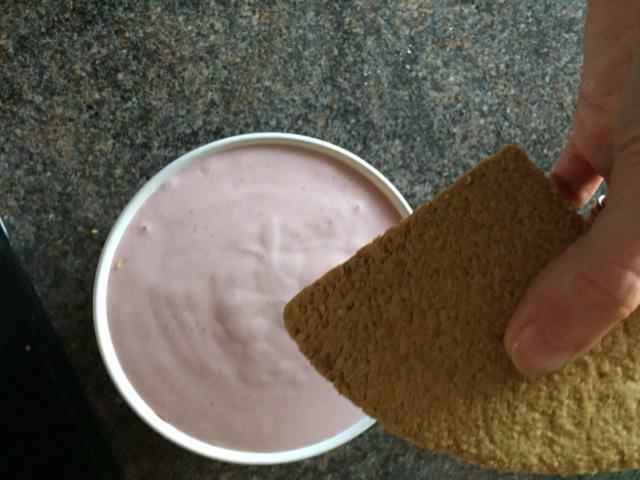 Get a thick stockans oatcake and crumble it over the top of the bowl. 7. 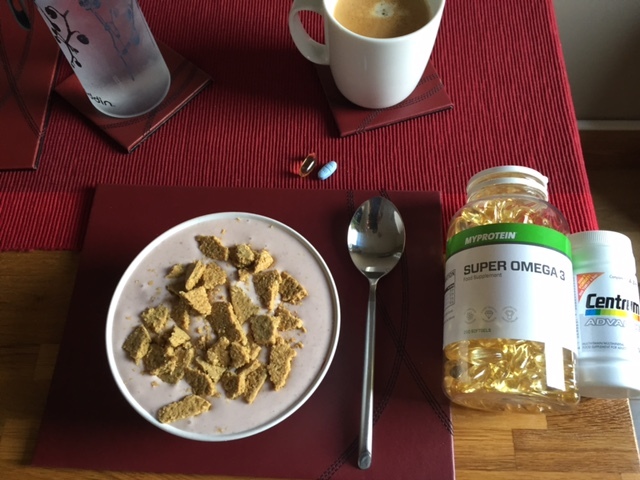 Finish off with an Americano coffee, a water, and a centrum multivitamin and a super omega 3 capsule. A very filling and tasty breakfast. It honestly keeps me full until lunchtime and is a great post workout meal too. 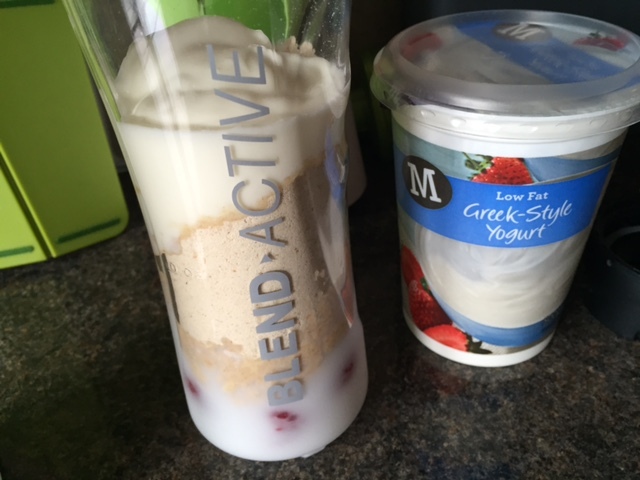 It keeps me so full, that I have a shake at lunchtime, then my lunch at around 3pm! If there’s too much, you can always put it in a Tupperware tub and take it to work for an after lunch treat. Fresh berries are expensive, but I’m ok in investing in my health to eat good food like this (and my protein usually have good deals on too for the total breakfast).